When people think of investing their money in the market, they first think stocks, bonds and mutual funds. However, what Wall Street doesn’t tell you is there is an alternative asset one can add in order to diversify their portfolio: real estate. 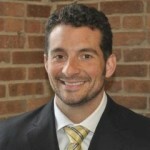 Real estate investing expert Preston Despenas answers a few questions on how investing in real estate be an easy and effective way to diversify your investments, including your retirement savings plan. Why do you recommend investing in real estate? Preston Despenas: Real estate is a great investment because it’s a hard, reliable asset unlike stocks, bonds and mutual funds. Real estate investments also have several benefits including mitigating some risk by adding diversity to a portfolio, it can generate monthly income from rents and properties. Real estate investments can also be structured to include leverage in the form of a mortgage, which can make your investment dollars go farther. You may be wondering about the risks and responsibilities of owning a home and managing tenants, and I will explain the hassle-free landlord options in a bit. How can real estate be incorporated into a retirement savings plan? PD: Adding income-producing real estate to a retirement plan is a terrific option. If you are interested in adding real estate to your retirement savings plan, I suggest you first talk with an IRA custodian. When adding real estate to your retirement savings plan, according to IRS rules, the assets need to be held in a self-directed individual retirement account (SD-IRA), which is administered by an IRA custodian. A custodian or qualified trustee is responsible for administrative services, due diligence and filing the proper IRS reports, among other things. It’s important that the funds are transferred to a self-directed IRA, which will allow you, the account owner, to direct the account trustee or custodian to make a broader range of investments, including real estate. Another benefit of adding real estate to a self-directed IRA is that it can provide risk diversification to a retirement portfolio. All assets come with degree of risk, such as stocks, bonds, mutual funds and ETFs. Real estate is also an asset, but it has a couple of unique features compared to the other more traditional assets in retirement accounts. First, it is a hard asset – meaning it is an actual building and/or piece of land. Second, sometimes the value stocks, bonds and mutual funds can move in the same direction at the same time. Real estate values are not fully-correlated to the moves of the stock market and sometimes might move in the opposite direction. Combined with rental properties’ ability to also produce a steady stream of income, real estate has the potential to protect your portfolio against inflation. 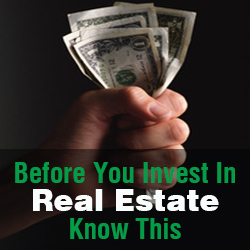 Lastly, some investors don’t have the available funds outside of their retirement savings to purchase real estate. Using a SD-IRA allows investors to add the income-producing property to their retirement account and it allows them to secure non-recourse financing on the property so they can have a mortgage and not have to pay for the entire property outright. What are things investors should consider when investing in real estate, especially if they’ve never been a landlord? PD: Investing in real estate sounds difficult; however, with the right tools and guidance, it can be an easy and successful process. Investment firms with experience working with self-directed IRA options can help make investing in real estate a passive and hands-off addition to your portfolio. While there are many benefits to going the traditional route of renting real estate properties, renting real estate on your own also means taking on significant amounts of responsibility, both when buying the property and while owning it. Many investors don’t have the time and expertise to assume the duties that come with owning and managing a rental property, and that’s why some real estate investment firms offer a hassle-free approach by providing a management service or tool to help ease the maintenance of the long-term investment. Real estate investment firms are helping buyers purchase residential properties in distant cities and manage them efficiently. They can help secure on-site property managers to help investors maintain the rental property, manage the tenant relationship and seek new renters when needed. In addition, some offer online management tools to help eliminate the day-to-day headaches of being a landlord. Additionally, real estate investment firms can provide investors access to properties in a variety of markets. They look for properties that have positive economic indicators, low vacancy rates and prices and have the potential to garner relatively high rents. This allows investors to have access to properties with the best rents, long-term economics, and purchase price entry-points in order to get the best overall return on their investment. It is important to remember that if you add real estate to a retirement savings plan, in accordance to self-directed IRA rules, the investor is not allowed to live in or visit the rental property, SD-IRA investors need to delegate the needs of the income-producing property through their property manager by working through their trustee or custodian. What are the advantages to non-recourse financing? PD: Finally, there are two primary advantages to non-recourse financing when it comes to real estate investing. First, it is the only type of financing allowed with investing in real estate through a self-directed IRA. It allows the investor to leverage their portfolio, so they don’t have to purchase the property outright and stay IRS compliant. In addition, it does not hold the borrower personally liable for defaulting on the loan and the property itself is collateralized asset. This allows for the ideal low risk, high reward investment. Secondly, non-recourse financing is a great option for foreign nationals to invest in US residential income properties. Like SD-IRAs, it is the property that is the collateral in the loan and the borrower doesn’t need any special approval. Thus, these loans can be much easier to secure for foreign investors that might have to meet higher borrowing standards at US banks.